I must admit, it was therapeutic, and the results were better than I expected. I’m a musician and a software developer. I’m not a carpenter nor a good painter, but here we have the results of a family effort. 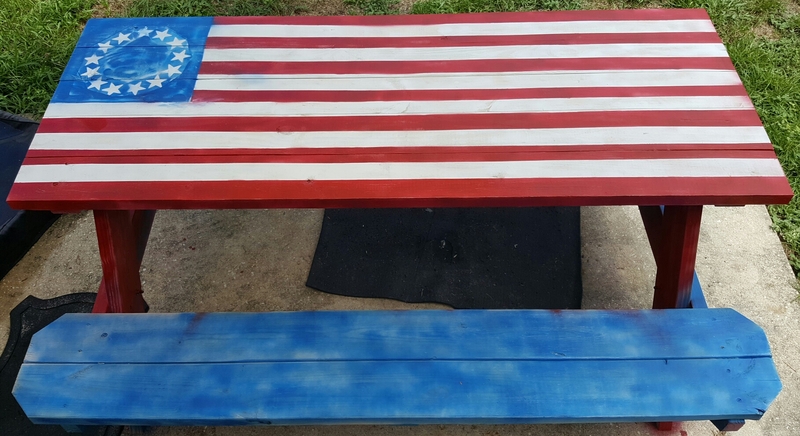 I present… The Patriotic Picnic Table.